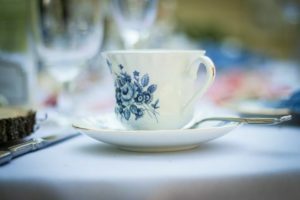 There is one piece of flatware often misused…the teaspoon…and no better time to talk about it’s use than when having tea! A teaspoon was and still is used as a unit of measure for measuring loose tea leaves into a teapot to brew tea. (If you are preparing a 6-cup teapot you would add six teaspoons full of loose tea leaves.) It was prior to the Victorian Era that the teaspoon got it’s name. When setting your tea place setting, place the teaspoon on the saucer and at the backside of the teacup. This is the position you will use throughout the tea. Move the teaspoon to quietly and noiselessly stir the sugar and cream that is added to tea blends such as a bold English Breakfast blend, moving the teaspoon gently in a back and forth motion. We have all “heard” someone blend their tea by striking the sides of the teacup. That will land you in the Tea Drinkers Hall of Shame, as will leaving the teaspoon inside the teacup and drinking from the cup at the same time. It is also correct to place the teaspoon on the tabletop, to the right side of the dinner or luncheon knife (if one is being used) when first setting your table. Once the teaspoon has been used to stir the tea, you will always place it on the backside of the teacup, resting on the saucer. You never want to place a used teaspoon or any piece of used flatware back onto the tabletop as it soils the table linens, or leaves food pieces on a tabletop or charger. You might be asking yourself why the teaspoon is placed on the backside of the teacup. Remember, all dining etiquette is based on simplicity, the least amount of movement, and being practical. If a teaspoon is placed on the front side of the cup, you risk knocking it off the saucer. Then the noise draws attention to you and drips tea onto linens. If you have ever had tea drip on a white tablecloth you know it likely will become a permanent stain. Having tea is such an enjoyable experience to have with friends and family. Spoil someone you know. Dust off those family heirloom teacups and saucers, bake some scones, and create an memory! If a teaspoon is not being used, don’t set it on your table as part of the place setting. For example, if your dinner menu is chicken, mashed potatoes and a leafy green salad all served on the same plate, the flatware you would set is a dinner knife and dinner fork. That’s it! Thank you Barbara Hamm Lee, Another View Radio 89.5 WHRV-FM, for allowing the two of us to talk with you today on our favorite topic Which Fork Do I Use? We spent an hour answering great questions from Barbara and her interested callers in the Norfolk, VA area. Because neither of us came from families that had correct dining etiquette, our goal continues to be to share our knowledge with others. We want everyone to have a better understanding of the basics of setting the table, serving the meal, and the multitude of dining dos and don’ts. Let’s just chat about forks, the SALAD FORK, to be specific. 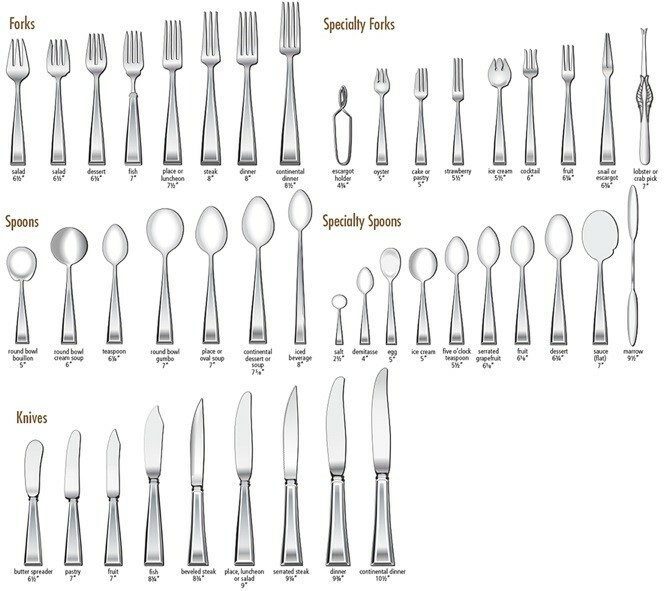 When you purchase a 5-piece place setting of flatware, it will contain two forks – a longer tined dinner fork and a shorter fork used for salads or dessert (think cake). Forks are always placed on the left side of the place setting. Always. Well, almost always. There is the occasion when you are serving a seafood cocktail and that little, itty-bitty cocktail fork may be set with the tines resting inside the bowl of the soup spoon. (And you know the soup spoon goes on the right side of the place setting. Of course you do.) Oh, and then there is the occasion when you are pre-setting the dessert service above the dinner plate – then the fork sits closest to the top of the dinner plate with the handle pointing to the left. Maybe it would just be easier to explain if you bought the book. It shows all of this with little pointy lines directing you so you don’t get confused. Place the forks in the order they will be used. If you are having salad as a separate course, meaning it is served on a salad plate and served before the main course, you will set the salad fork on the outside of the dinner fork. Meaning the dinner fork is closest to the dinner plate. Perhaps you are choosing to dine Continental (European) style. Your salad will be served AFTER the main course, then the dinner fork will be placed furthest from the dinner plate with the salad fork closest to the dinner plate. And if you are having a salad on the same plate as your main meal, you can just leave that salad fork in the kitchen drawer. Or, bring it out after dinner for that piece of chocolate cake. It’s raining in Oregon. It’s raining in California. The states in which Rosemarie and Linda reside. Which brings up the motivation for gathering together friends or family for a warming cup of tea. If you have children or grandchildren, it’s a fun and participatory occasion that can bond you together and allow you to share some dining etiquette tips! Brewed loose leaf or tea bag tea? For the purist, there is nothing like a fresh brewed pot of tea. Fill your teapot with hot tap water to warm it. This prevents the teapot from lowering the tea water temperature too quickly. Put a kettle of water on the stove top and bring to a boil. While the water is coming to a boil, measure out your loose leaf tea, one teaspoonful of tea per cup and an additional teaspoonful “for the pot.” This prevents a weak tea from being brewed. Dump the warming water out of the teapot and place the tea leaf filled infuser inside the teapot…doing this when the water kettle begins to “chatter.” This chatter tells you the water is about to reach the boiling point. Remove from the water kettle from the stove top the minute it begins to boil. Pour the boiling water over the tea leaves and place the lid on the top of the teapot. Set the timer and brew full-bodied tea for 5 minutes. No longer than 5 minutes or you will have bitter tea. Pour tea into a beautiful, china teacup taking care not to fill to the rim. 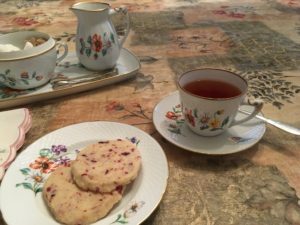 Using sugar tongs, remove a sugar lump and place in the teacup. Pour a small amount – about a teaspoonful of milk, but never cream, into your teacup. Stir with a teaspoon in a back-and-forth motion, taking care not to bang the side of the cup. Place the used teaspoon on the right side of the cup, behind the handle. Never place it back on the tabletop or table linen. Pssst…break off bite-sized pieces of the cookie, while it is resting on the plate. This prevents the crumbs from falling onto table linens or the tabletop. 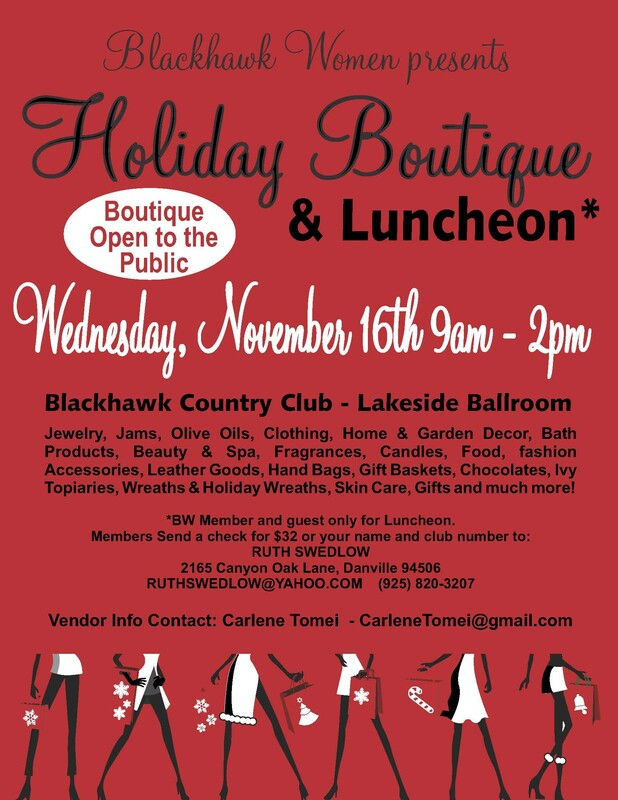 Find both co-authors, Rosemarie Burns and Linda Reed, at Blackhawk Country Club’s annual boutique in Danville, CA. They’ll be available to answer your questions and sign books! 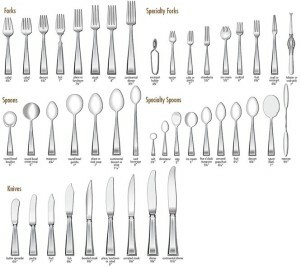 “Which Fork Do I Use?” will help the novice or seasoned host set a fabulous table from simple to extraordinary! And you’ll be surprised at the wide range of dining tips you never knew. A holiday must-have! Christmas Ideas 2016 by Better Homes & Gardens is on the book shelves at your favorite supermarket and variety store now until December 16th. On page 23 they took a page from “Which Fork Do I Use? Confident and Comfortable Dining” … we couldn’t be happier. 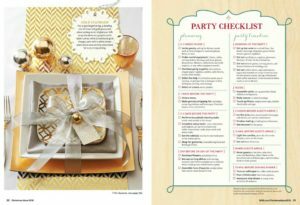 “Party Planning Timeline” with all the check-off boxes necessary to have an spectacular dinner is there for you to use over and over again. Or, customize your own. It’s an excellent starting point for a novice or a seasoned party planner. Our many thanks to Better Homes & Gardens for including “Which Fork Do I Use?” in this special publication! Columbus Dispatch writer, Lisa Abraham, interviewed co-author Rosemarie Burns and wrote a timely “to the point” article about Which Fork Do I Use? Need we say more? Read for yourself. P.S. A big thank you to Lisa. Just the magazine cover alone makes us swoon! Thank you Southern Seasons magazine for the mention of our book on page 117 in your early Spring 2016 edition. As West coast residents we hadn’t seen this exquisite magazine before. Truly a feast for the eyes! East-West-North-South, where ever you reside – the importance of knowing how to dine well is important. It all starts with the Basics of Setting the Table. Do you know how? Really, know how? Or, do you assume you have the skills necessary to set the table for any dining situation. Let us share a story with you. The person who did this shall remain nameless to protect their reputation. Linda. Oops. Well, it will be our little secret. Linda likes to set her dinner table a day or two before the event so she can concentrate on cooking and all the other little details, such as mixing that Signature Cocktail for her guests upon their arrival. Since this dinner was during the week and most everyone had to go to work the next day, Linda decided to have a warm cheese appetizer with grilled bread and roasted garlic for a first course rather than to serve this during a cocktail hour. A small butter spreader knife was selected by Linda to use for this appetizer course. She set the butter spreader to the outside of the dinner knife. After all, knives are set on the right side of the dinner plate and diners “work from the outside in.” Correct? Well, yes. In theory. In the meantime, out in the wild, wild west of her grilling area Linda had pressed the “start” button on the grill twice. Don’t tell anyone, but she can’t multi-task. Cocktail in one hand and a serious discussion going on at the same time caused this minor little mishap. Mr. Weber created a “fail-safe” precaution that shuts down the grill when the ON button is discharged twice in succession. Dang. While guests were dining on the delectable cheese, grilled bread and roasted garlic, Linda had excused herself to check on the grilling chicken. Because of Mr. Weber’s fail-safe mechanism she discovered her chicken wasn’t going to be cooked at the appropriate time. She gathered up the chicken and moved them to a 500 degree oven inside the house to accelerate the cooking time. Guests dining at midnight just didn’t seem like an option. In the meantime, she had to slow down the process at the dinner table. Her beautiful tomato salad that was going to be served as part of the main course was now going to be served as a salad course. When she went to the table to remove the appetizer plates with the butter spreader knives, she discovered her “oops.” Half of the guests had used their dinner knives and the butter spreaders were still on the table – unused. Only a couple of guests had actually used the butter spreaders appropriately. And the remaining guests had used both their dinner knife and butter spreader. Cocktails and wine will do that to a guest. 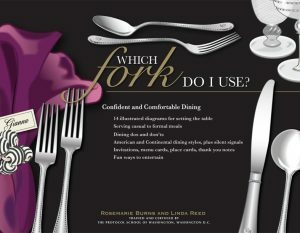 As the co-author of an award-winning book, “Which Fork Do I Use?” you would think that Linda would know how to set the table. Here is the lesson. Even an expert can make a table setting mistake. Yup, it happens. What should she have done instead? Appetizer course – In this case, she should have brought the butter spreader out on the appetizer plate so that her guests would easily know what piece of flatware to use. And not a word should be said to the guests about how they used their flatware. Pick up the used flatware with the appetizer plate (as well as the butter spreader, if they had not used it) and bring back a clean knife for the guest(s) to use during the main course. Los Angeles, CA area magazine Valley Scene reviewed our book and you can see for yourself what they had to say! As we approach Mother’s Day, graduations and wedding season, Which Fork Do I Use? is a jewel of a gift that will last a lifetime for the recipient! It may seem unimportant, but knowing how to set the table correctly will ease the tension and nervousness that hosts have when entertaining. Guests will have questions answered about ways to dine or eat correctly that they never knew existed. We just don’t know what we don’t know! 3.14 is Pi Day. That mathematical calculation used by scientists and engineers. Scientists need pi for all sorts of tasks, including calculating flight paths (as the planes are traveling on an arc of a circle) and audio processing (as pi is used to calculate sine waves) according to The Verge. We average mortals prefer to celebrate by calling it Pi(e) day! What’s not to like about pie? From an etiquette standpoint, there are a few important factors to know! Surprised? We’ll share. 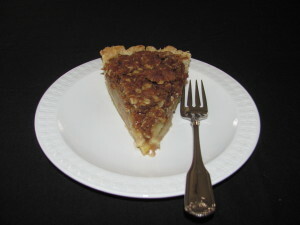 Place the point of the pie so that it is pointing towards the diner. Your dessert fork may be pre-set above the dinner plate, and if you are serving it with ice cream with your pie place a spoon above the dinner plate too. The fork handle points left and the spoon handle points right and sits above the dessert fork. And if you purchase Which Fork Do I Use? we’ll show you in pictures how to eat the pie à la mode using the fork in your left hand and spoon in your right hand! Words are powerful. Words can change your day. Sometimes they can change your life in unexpected ways. Our friend, Rich Razgaitis, is a gifted professional and he posted this on his Facebook account today and it is worth sharing with our followers. “Two years ago I was working in my home office on a Saturday. This guy came by to deliver some firewood, and his wife and 12-year old son were helping stack it. We talked for a bit. He was one of those guys you instantly like and trust. “Fabric and backbone of America” type of guys. Hard working, honest, and was proud of what he did. I went back inside and in between emails I watched them stack wood for 20-minutes, and was really mesmerized by their hustle, work ethic, and even cheerfulness. On that particular day, I was really discouraged and stressed. I don’t think most people (who haven’t done it) realize how low the low’s can be starting and running an angel or VC-backed company–or starting any business for that matter. However it looks from the outside is not how it is on the inside. It can be amazing. And it can be hell. That day happened to be hell. So when I went outside to pay this guy for the firewood he asked what I did, and how it was going, etc. And either he was really good at reading people or I was really crappy at hiding my discouragement (probably both). Wanna know how much it hit me? After he left (ugh this is embarrassing) I started crying. It was, for me at that moment and time, the most incredibly uplifting moment. And also humbling. I was beyond inspired. What’s so awesome to me is that, at least monthly since then, I’ve thought about this guy and his words of encouragement. It was probably one of the most uplifting moments of advice/encouragement (from a work perspective) that I’ve had from anyone in years. And it’s stayed with me. Out of all the people that I know and am in contact with…mentors, advisers, other CEO’s, founders, executives, investors, peers throughout the Country, friends, and various colleagues–from NYC to San Francisco and right in the heart of Silicon Valley–here some random dude STACKING MY FIREWOOD made one of the most memorable impacts on my professional life over the past few years. So. Insanely. Awesome. So. Inspiring. I share this story because it’s had such a great impact on my life, and is such a powerful reminder to me about what a few authentic and encouraging words can do to someone. An inspiring message to be sure! Thank you, Rich.